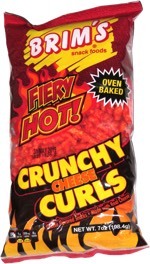 Taste test: The wide-ripped, thick-cut chips had a decent sweet barbecue flavoring and a good potato taste. They weren't bad at all, but I've come to have very high expectations for Kettle Chips, and these just weren't top-notch. 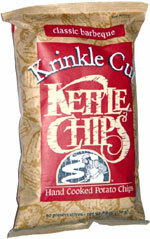 The barbecue flavor was nothing special and not all that strong, and I think the non-rippled Kettle Chips have a better potato flavor. Smell test: Nice, mild barbecuey potato smell.